February has been a pretty good month for me. My family came to visit, I went to #emptyROM, Nic and I tried out some new coffeeshops (Black Cat Espresso, Box Car Social, and Settlement Co), and I achieved some fitness goals! I love to read, and I’m currently working on my “What I Read in February” post. I also like to use the hashtag #whatjanessareads on Instagram, so you can always see some of the books I’m reading, or check me out on GoodReads. 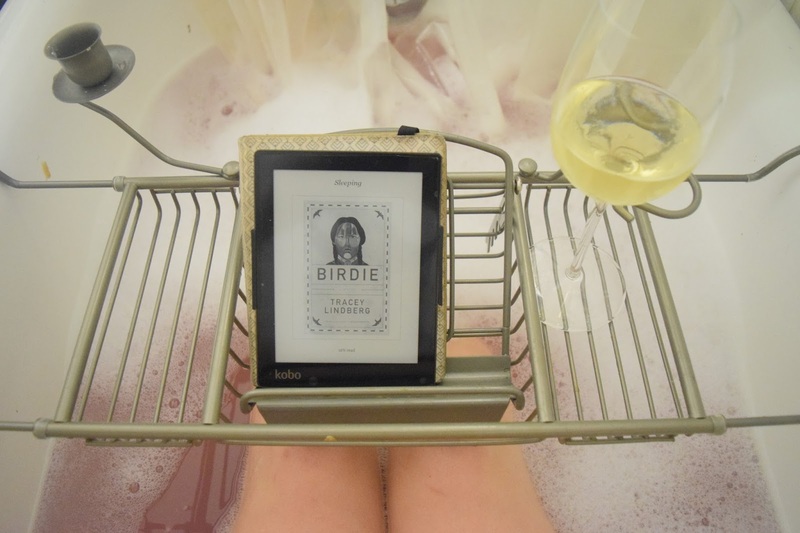 I’m currently trying to follow through on my goal of reading all the Canada Reads 2016 books, and “Birdie” by Tracey Lindberg is the second one I’m on. 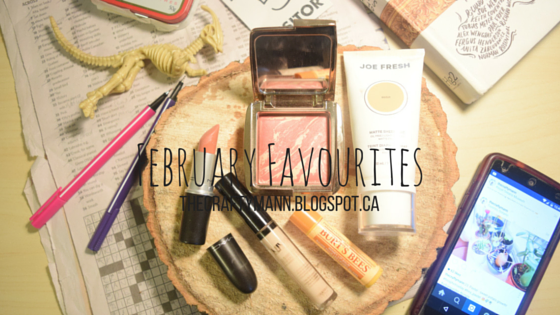 Check out my January books post. 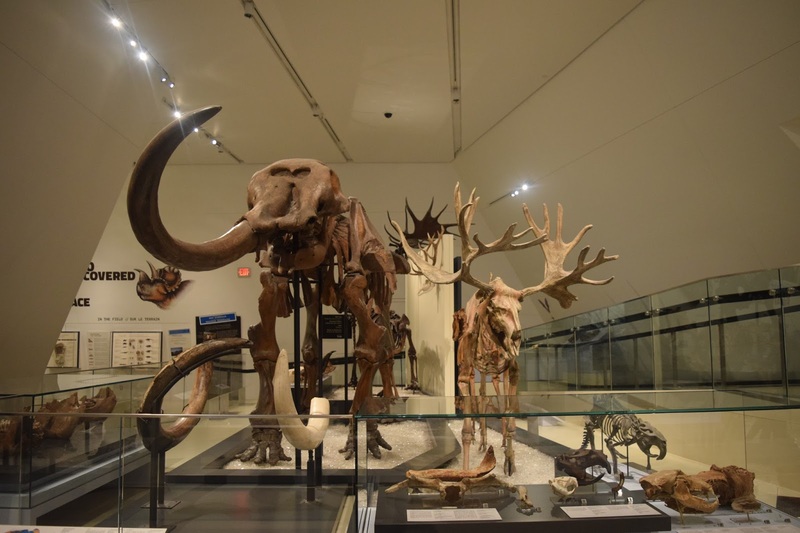 In yesterday’s post I talked about getting selected to go to #emptyROM, which was a super awesome event where about 10 of us got to go into the dinosaur room before the museum opened and photograph everything without having people in our shots. It was a lot of fun! For my product favourites, I don’t have many, but I do love these! 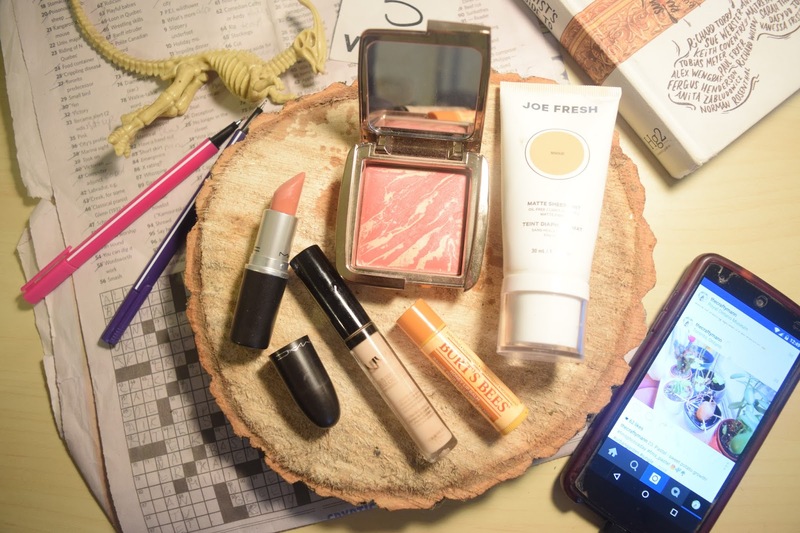 Joe Fresh Matte Sheer Tint in “bisque” – I was so excited to see that this BB cream lasts through a workout! And by workout I mean everything from yoga to legs day to stairmaster! I’m so happy with the results! It also doesn’t get too matte, so I don’t get dry patches. NYX HD Concealer in CW01 – I haven’t found a concealer I like in a long time, so I was delighted to find this on sale at my Shoppers (so glad NYX is now here at Shoppers!). The colour is a great match for my under-eyes, and also lasts pretty well on any imperfections. Hourglass Ambient Lighting Blush in “Diffused Heat” – This will probably always be my favourite blush. It’s so perfect to give you a great flush and glow with the gold streaked through it. Burt’s Bees Honey Lip Balm with Vitamin E – just love. 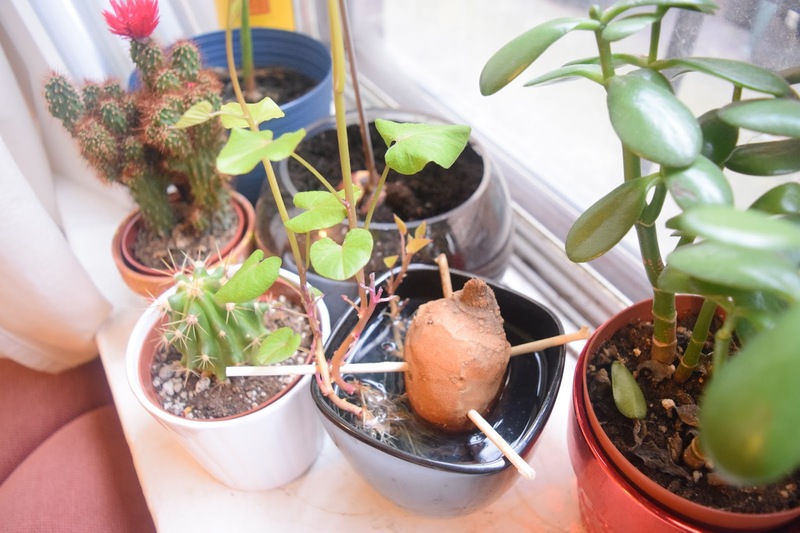 Nic’s been growing this adorable sweet potato vine! 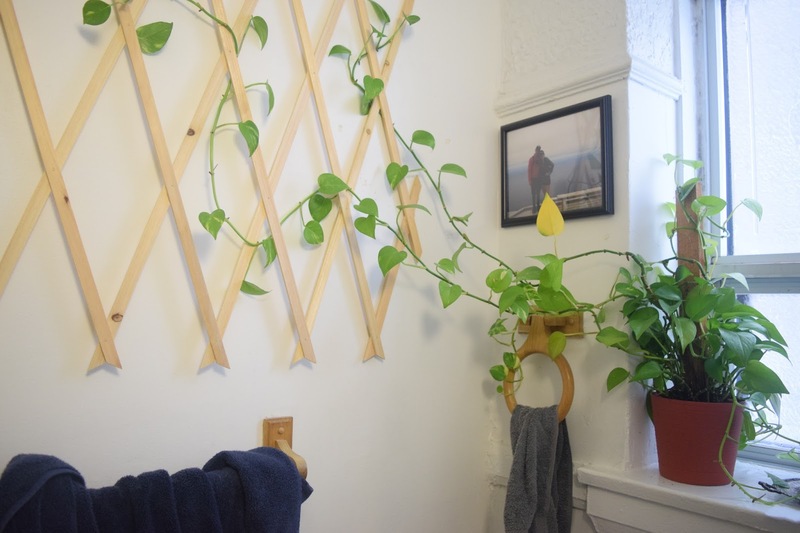 I can’t wait until we have tons of vine to drape around everything. When we were in Dollarama a couple of weeks ago, Nic decided he would buy this trellis for his golden pothus. It really adds a lot of character to our white bathroom! I have gotten really into Crosswords this month. 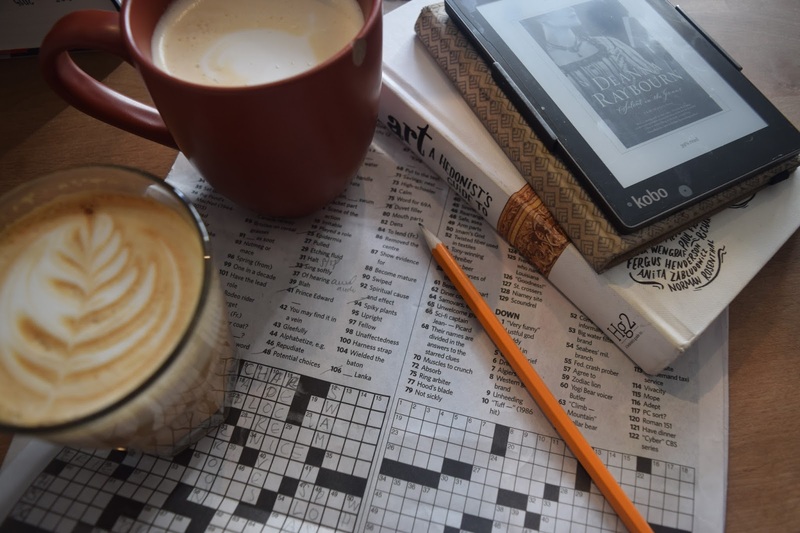 Yes, I sometimes cheat, but it’s really cool to notice how now I’m getting the hang of the secret language of crossword clues. #emptyROM in the Dinosaur Room!